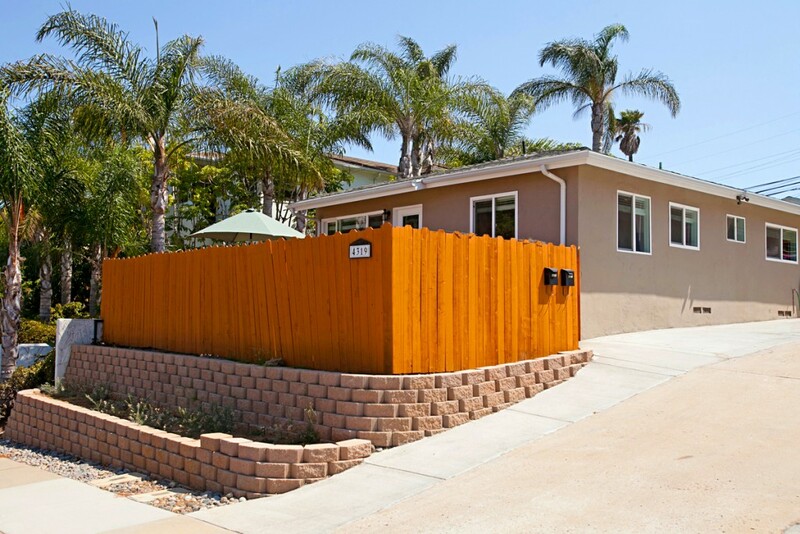 San Diego Real Estate BLOG: Just Reduced!!! Remodeled Ocean Beach Charmer! Wood Floors, Newer Kitchen with Granite Countertops, Stainless Steel Appliances, Vinyl Windows, Leaded Glass Inset in Front Door, Stylish Ceiling Fans in Living Room and Bedrooms, Chic Light Fixture in Dining Room, Inside Laundry, Open Floor Plan with Lots of Windows, and a Private Yard with Stamped Concrete and a Trex Deck Large enough to Entertain with several of your Friends! Home Also Features Wainscoting in Bathroom, Tankless Water Heater, and Two Parking Spots! Contact The Yarbrough Group TODAY For More Information!!! CLICK HERE to Like Us on Facebook and Get Information About Our Properties BEFORE They Go on the Market!!! Point Loma encompasses at least five distinct districts. Up on The Point are beautiful, multi-million dollar mansions. Down by The Midway you’ll find Kobey’s Swap Meet, the city’s largest weekend swap meet. On the Ocean Beach side, surf pounds the rugged coastline, while The Harbor side is a safe haven for yachts. Point Loma’s fifth district is Liberty Station, the waterfront urban village in the redeveloped Naval Training Center that includes hotels, restaurants, shops, a waterfront park, the historic Sail Ho Golf Course and the NTC Promenade, home to over 48 museums, galleries, artist and design studios, dance companies and other organizations that showcase San Diego’s creative community. Point Loma is known locally as an excellent spot for tide pooling, where low tide brings a magnificent reveal of the underwater reef, exposing flowery anemones, crabs and a myriad of other sea creatures to the delight of visitors and locals who frequent these pools. And don’t miss a trip to the Cabrillo National Monument home of the Point Loma Lighthouse for a look back at San Diego’s nautical history and stunning views of the bay and downtown skyline. If you’re looking for great surf, locals frequent a number of quality surf breaks along the western edge of Point Loma. As Always, Be Sure To Contact The Yarbrough Group TODAY for ALL Your San Diego Real Estate Needs!!! Welcome to our BLOG!!! Check back weekly for our latest listings, insights on owning a home or property in the San Diego area, and fun "best of" and "what to do" articles to keep you in the know. Our agents write often to give you the latest insights on owning a home or property in the San Diego area. The Yarbrough Group is San Diego's most innovative real estate team.